The Hurford Center hosts two Andrew W. Mellon Foundation Postdoctoral Fellows each academic year. Haverford has a profound stake in ensuring continuity in the tradition of scholar-teachers. The college offers opportunities for faculty development through intimate interdisciplinary exchange and innovative pedagogy and provides an ideal setting for cultivating the creative energies of young scholars. At the same time, Haverford has much to gain from the steady infusion of fresh intellectual and pedagogical perspectives brought by the Postdoctoral Fellows. The program offers five key instruments of professional advancement: meaningful teaching (Fellows teach one course per term); collaborative intellectual exploration (through participation during the first year in the year-long Faculty Seminar); interaction with the broader world of scholarship and public life (through the staging of a symposium connected to the Fellow's teaching and research interests, which occurs in the spring semester of the Fellow’s second year); mentoring (through association with host departments and programs); and the time and resources for scholarly endeavor (a reduced teaching load, support for research and travel). We seek scholar/practitioners interested in the study of environment, intervention arts, sustainability, and design. The area of specialization is open, but might include anthropology, geography, landscape design/architecture, or sustainability studies. Candidates should have broad theoretical and interdisciplinary interests. In the second year, the Mellon Fellow will organize and present a spring symposium related to his or her field funded by the Hurford Center. During each of the four semesters at Haverford College, the Mellon Fellow will teach one course at the introductory/intermediate or advanced level. Should you have any questions, please email to Kerry Nelson. knelson@haverford.edu. Candidates who earned their Ph.D. no earlier than 2014 and have completed all requirements for the Ph.D. by the application deadline of January 9, 2019, are eligible to apply. Aniko Szucs holds a Ph.D. degree in Performance Studies from New York University and two master’s degrees in English and in Communication from the Eötvös Loránd University of Budapest, as well as an M.F.A. in Theatre Studies and Dramaturgy from the University of Film and Theatre Arts of Budapest. 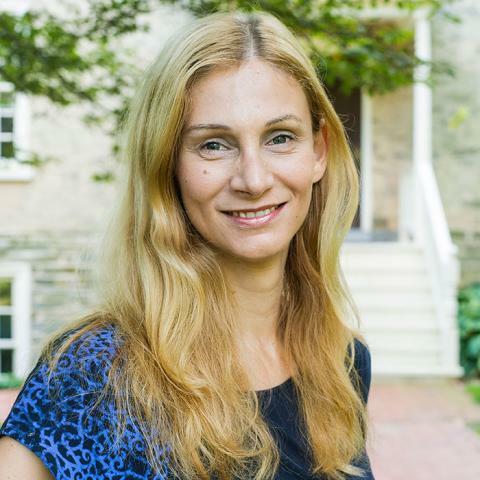 Her dissertation, “Entrapped in the Archive: State Security Documents Recontextualized in the Hungarian Art World,” examines how contemporary artists and activists use the formerly confidential state security documents of the communist regime to construct fictitious—yet historically authentic—narratives, thereby contestingthe morally suspect public discourse on secret collaboration. Szucs’s new research project focuses on postcommunist melancholia, and analyzes the aesthetics and praxis of leftist and liberal activism in Central Eastern Europe. Before her academic career, Szucs was the resident dramaturg of the Vígszínház (Comedy Theatre) in Budapest. As a dramaturg and translator, she has also worked at the National Theatre of Budapest (with director Andrei Șerban), at Portland Center Stage, OR, and the Arena Stage in Washington, DC, als well as with the DiCapo Opera and the Hourglass Group, both in New York. Her current dramaturgy projects include Richard III with Andrei Șerban at the Radnóti Theatre in Budapest and Ridiculous with Elyse Singer and the Hourglass Group. Szucs has taught theatre and media studies at New York University, John Jay College of Criminal Justice, and the School of Visual Arts. She has published articles in journals in both English and Hungarian, and chapters in the anthologies Jews and Theater in an Intercultural Context (2012), Staging Violent Death: The Dark Performances of Thanatourism (2014) and Secret Police Files and Life Writing (2016). Diu-Huong Nguyen earned her Ph.D. and M.A. degrees at the University of Washington, Seattle, with a concentration in the history of modern Viet Nam. She also holds a M.A. degree in Southeast Asian Studies from Ohio University. Her work focuses primarily on the social history of Vietnam and the human dimension, in particular the voices and experiences of ordinary people in the Viet Nam War era. Nguyen is developing her dissertation research into a book manuscript entitled Eve of Destruction: A Social History of Viet Nam’s Royal City, 1957-1967. Based on written and oral historical sources and extensive field research, this grassroots history illuminates how war transformed social life in the imperial city of Hue in central Viet Nam from the establishment of the University of Hue in 1957 to the start of the Tet Offensive in late January 1968. She is the primary author of a students' history book series published in Viet Nam and serves as history consultant for television and film projects; her writing has appeared in the New York Times and various published works. 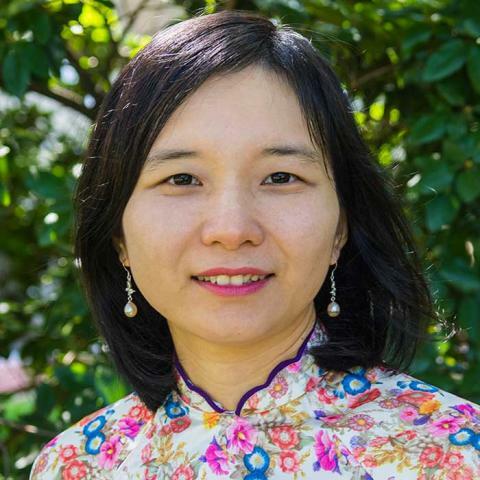 Nguyen currently teaches a course on the History of the Viet Nam Wars and is organizing an Oral History Project to capture and document the lives and experiences of the Viet Nam War generation, veterans and civilians and activists both American and Vietnamese. These interviews, conducted by her students, will be archived in the Haverford College Libraries.